CD in an oversized fold-out folder (like 7"cover). Limited to 1000 copies. Five years after the succesfull "The Black Flag Hoisted" CD finally the new MILITIA CD!!! It contains 13 tracks (62,35 minutes) of the best MILITIA recordings ever. Beside the known and typical MILITIA percussions, samples and voices this time the tracks include a larger variety of other instruments: violins, accordeons, horns, clarinets played partly by guest musicians. Even a soprano singer takes part in this masterpice. The CD comes in a special oversized (21x21cm) foldout cover. THIS IS A REAL MASTERPIECE DON'T MISS IT!!!! 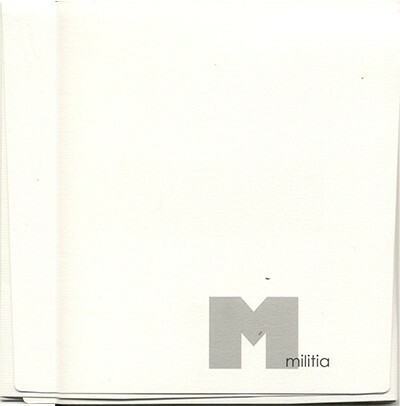 Customer evaluation for "MILITIA - Everything Is One CD (Lim1000) 2005"